President Trump is not letting up in his efforts to see ‘justice’ with regard years of ‘Russian meddling’ accusations and Deep State intervention. “Why didn’t Obama do something about the meddling? Why aren’t Dem crimes under investigation? 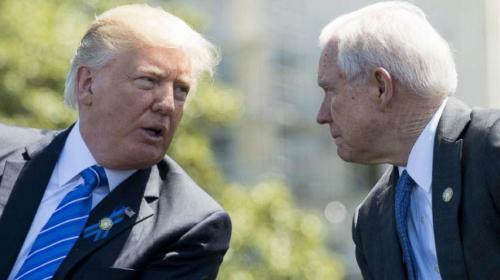 The recusal kept Sessions from overseeing special counsel Robert Mueller’s investigation into possible Russian involvement with the Trump campaign, ceding responsibility to Deputy Attorney General Rod Rosenstein.